Compass Box, much like WM Cadenhead, Gordon & Macphail, Samaroli and many others, are an Independent Bottler who bottle (and blend) Scottish whisky under their own label. In a nutshell, Compass Box would like the laws changed to allow whisky producers the option to better describe the contents of their whiskies, including the ages of all the whiskies that make up a particular whisky. Currently under EU law, if a whisky chooses to display an age (which increasingly, they don't) the bottle/marketing must only state the age of the youngest whisky in the mix. Which is fine - it's what stops a bottler from filling a bottle with 99% 12yo whisky, 1% 50yo whisky, and calling it a "50 Year old Whisky". What it doesn't allow though, is whisky producers to state the age of all the whiskies that make up a particular whisky. For example, Balvenie TUN1401 is a NAS whisky that includes some seriously old malts. In some cases, the age of the casks are known, but wouldn't it be nice to list them on the bottle, and even, should Balvenie decide, to list the % makeup of each cask? That's really all Compass Box are seeking to do here - change the law to allow whisky producers the option to let consumers know more about what's in their whisky. In today's market, with an ever-increasing consumer thirst for knowledge, that just sounds like common sense to us. How cool is that? Now if the bottle carried a big ** 40 YEARS OLD ** label on the front, we'd have an issue with it, but we think the sort of openness Compass Box are looking to introduce can only be a good thing. Compass Box were kind enough to send through two samples of their latest (2015 release) limited editions recently - "This is Not a Luxury Whisky" and "Flaming Heart 15th Anniversary Edition". We've also included our tasting notes of "The Peat Monster", which we've been sitting on for a while (a #101drams dram). Designed to make people re-define their definition of "luxury whisky", and remind people that whisky is for drinking. We love the design of the bottle, in particular the cap/closure. No elaborate foil covering here, just a cork and a thin paper strip. It's almost saying "rip out the cork and pour a dram, NOW!" Colour: Vibrant, deep dark gold. Nose: Oh wow, there's a lot going on here. We've tried some incredible blends in recent months and this absolutely continues that trend. Marzipan, sherbert, lots of rich sherry influence (walnuts, glacé cherries, sherry-soaked raisins) with the slightest hint of peat smoke (which is interesting considering only 4% of the blend is peated, and at 30yo, that peat should be fairly subtle). 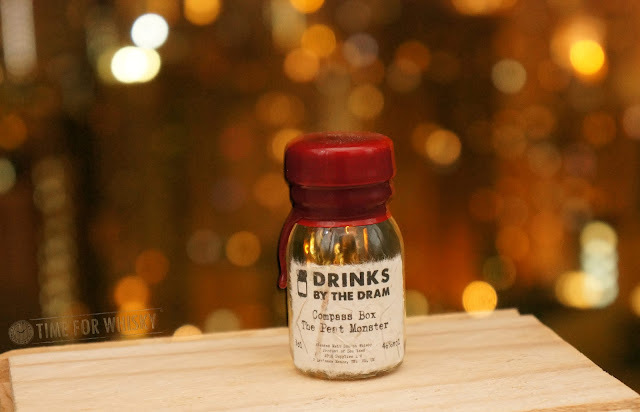 Palate: A hint of earthy smoke, a lot of sultanas, then citrus-driven Christmas cake. There's a definite sweetness too - icing sugar dusted milk chocolate truffles. Delicious. Finish: Long and sweet. Lemon cream, a little peat smoke which lingers to the very end. Rating (on my very non-scientific scale): 93/100. 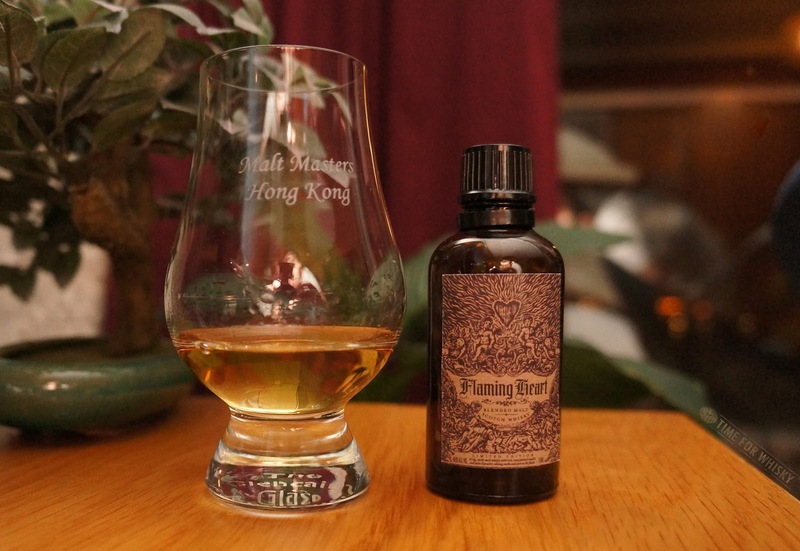 A brilliantly-constructed blend, and testament to John Glaser and the Compass Box team's skill at constructing complex and fantastic whiskies. 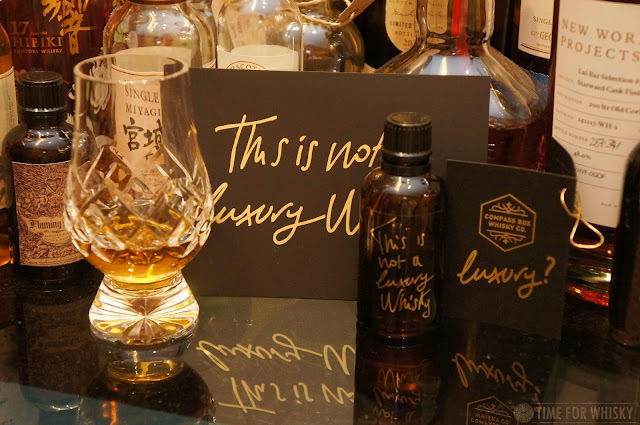 Is it a luxury whisky? In terms of taste, absolutely. Is it a bottle you should buy and leave on a shelf unopened? No, drink the bloody thing! A blended malt this time, with Caol Ila making up the majority of the blend. Also non chill filtered with no spirit colouring. Nose: "Medicinal sweetness" best sums it up. Iodine and milk bottle lollies. Taiwanese pineapple cake and freshly cut grass. Palate: Sweet and juicy peat. Some mocha, lots of milk chocolate, yet still medicinal. I would have guessed there was some Laphroaig in the blend if I didn't know better. There's a slight meatiness too, like an aged, oily piece of Jamón ibérico. Simply excellent. Finish: Long, lingering woodsmoke with an underlying confectionary sweetness - boiled lollies predominantly. Rating (on my very non-scientific scale): 92/100. Another winner. It's not hard to throw a few Islay whiskies together and produce a blended (or blended malt) Islay whisky, but to produce one with the complexities that this has? That takes skill. Part of the "Signature Range", another blended malt composed primarily of Laphroaig, Caol Ila, Ardmore and Ledaig. Nose: Peaches, apricot, pineapple. Tropical fruit peat fest! Palate: Relatively thin, but loads of flavour. Tropical flavours mostly - passionfruit, vanilla cream, sweet, slightly tannic, with smouldering ashes in the background. Finish: Medium to long length - those smouldering ashes to continue to the end, accompanied by a hint of spice. Rating (on my very non-scientific scale): 91/100. A nice, easy sipping Islay dram which, whilst not overly complex, is 1) certainly not one-dimension like some other peat-heavy whiskies and 2) a bargain at its price-point. TimeforWhisky.com would like to thank Compass Box for the generous samples sent all the way from the UK. If you agree with Compass Box's Transparency Campaign, consider adding your support by signing the petition.